Broadway legend Carol Channing died on January 15 at her home in Rancho Mirage, California at the age of 97. The actress won a 1964 Tony Award for originating the role of Dolly Gallagher Levi in Hello, Dolly! She also received a Tony nomination for her turn in The Vamp and had a memorable turn on Broadway in Gentlemen Prefer Blondes. 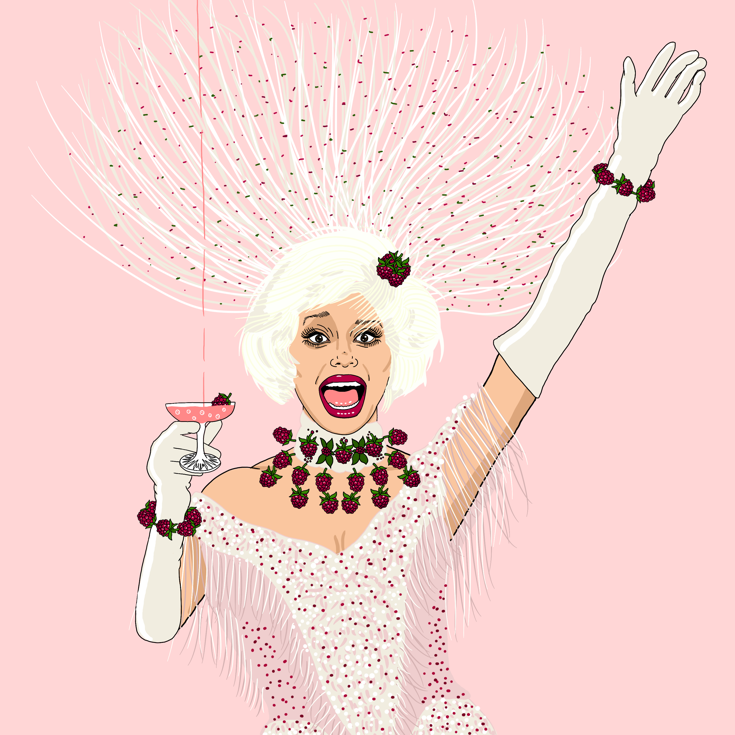 In honor of the passing of the beloved performer, Broadway.com illustrator Ryan Casey paid tribute to Channing by drawing her in a white version of the Dolly costume adorned with raspberries, a reference to her signature line when she played the unsinkable Muzzy in the movie Thoroughly Modern Millie. Check out the beautiful portrait and be sure to listen to the Hello, Dolly! original Broadway cast recording in remembrance of this great star. So long, dearie!